The SAT is ⅓ writing, and a pretty huge chunk of that third relies on knowing the rules of written English. So SAT grammar practice is pretty freakin’ important…and studying grammar can earn you serious points. Test your grammar knowledge with our 10-question quiz! Generally, students are more willing to study math topics than grammar topics…but that’s a mistake! Because there are fewer grammar topics than there are math topics, they carry more weight on average. And here’s the kicker: if you’re a native English speaker, a lot of that grammar (though not all) is already pretty natural to you. Topics like transition words, subject–verb agreement, and tenses may take a keen eye at times, but if you train yourself to watch for them on the test, you’ll be using your innate English knowledge, which you exercise every time you speak. Spend time on SAT grammar practice and you’re going to seriously bump up your score. But what you’ll find is that even the sentence-level questions rely on a lot of context. The best thing to do is to practice and time yourself as much as possible until you can at least skim the passage and then answer the questions. You’ll be glad you did when you see your score! You won’t need to know grammar rules verbatim on test day…but you will definitely need to know them in practice. That’s why we’ve given you correct and incorrect sentences below to get you off on the right foot! Grammar is important in not just one but two SAT sections: Writing and the Essay. Mastering it can thus boost your scores in two sections! Keep reading to improve your grammar, but make sure what you’re reading is professionally proofread. Major national newspapers, magazines, and books are all good sources…though be careful about dialogue in books, as authors often have characters use ungrammatical language to sound more natural. On test day, you’ll open your booklet to the Writing section and see passages with numbered, underlined portions. The underlined sections could be as short as a word or as long as several sentences. You’re then asked to pick the best answer from among four. You’ve already seen one example, but here are a couple more. A handful of questions on test day will use the “DELETE” option—don’t rule it out without good reason! It’s right just as often as the other answer choices are. What do these SAT grammar questions have in common? Their format, first of all. They all have the same first answer choice. They all refer to a passage. In addition to grammar, SAT Writing will also test your understanding of organization and flow, style (like when to use the passive voice), as well as some vocabulary, so you can expect to see a hodgepodge of question types on the official exam. 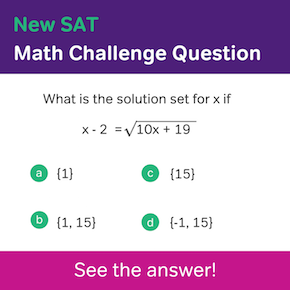 The first answer choice in SAT Writing (when the question has no stem) is always NO CHANGE—and this is correct as often as the others. You may sometimes see a choice to delete (or in SAT terms, DELETE) the underlined portion—this can absolutely be the right choice. Be careful that when you correct one mistake, you’re not introducing another. Wordiness in particular often sneaks in there. Read through all the answer choices to make sure you have the best one. Identify the part of speech that’s underlined for a clue to what the question is testing. Preposition? You might be looking at an idiom. Adverb? Check your modifiers. More on this below! Rule 1: Each sentence needs a noun, a verb, and to express a full thought. Which of the following two examples is not a sentence? Only the first one is a sentence. The second is a fragment. Both of these, however, are clauses. A clause is a phrase that contains a subject and a verb. It may or may not be a sentence. So what’s the point of a clause? Because he was tired, Charlie decided not to run the race. The first clause, “because he was tired,” is not a sentence. We call this a subordinate clause because it is not the most important part of the sentence. Hence, it is subordinate or secondary to the main part or main clause of the sentence, “Charlie decided not to run the race.” In other words, the big idea is that Charlie didn’t run the race. A subordinate clause is also called a dependent clause, because it “depends” on another clause. Otherwise, it’s just a sentence fragment. Similarly, a clause that is a complete sentence is called an independent clause. It’s independent; it doesn’t need to rely on any other clauses to be a sentence. The SAT is not going to test you on the exact terminology, but it will test you on the ability to determine whether a clause is a fragment. If I take a simple sentence like “he studied” and add a subordinating conjunction in front of it, what was a sentence is no longer a sentence; it is now a subordinate clause. Subordinating conjunctions include because, although, even though, since, nevertheless, whereas, while. There are more, but a good shortcut to identifying whether a word is a subordinating conjunction is to ask yourself the following: Does it provide a reason, contrast, or condition for the main clause? Among the following examples, see if you can figure out which are sentences and which are fragments. 1. Though she participated often in class, hoping to get an ‘A’. 2. Hoping to get an ‘A’, she participated often in class. 3. Growing up in a household in which everyone watched baseball, David knowing all of the rules of the game. 4. Because he studied, he passed. The first part is a dependent clause (notice that subordinating conjunction “though”). The second part is a phrase, an orphan in search of a verb and a subject. Put that together with the dependent clause and you get a fragment. The first part technically isn’t a clause but a modifying phrase (more on these later). But since the second part (the clause after the comma) has a noun subject and a verb, and no subordinating conjunction, it is a sentence. Put that together with the first phrase and you get a complete sentence. The set up here looks very similar to #2. Notice, however, that the second clause doesn’t have an actual verb. It has the participle “knowing,” making the second clause gibberish. Therefore, #3 is not a sentence. Had “knowing” been “knew,” #3 would be a totally valid sentence. First off, you can start a sentence with “because,” as long as you have a comma at the end of the first clause and the second clause is an independent clause. Since, “he passed” has a noun subject (“he”) and a verb (the past tense of pass), #4 is a sentence. Rule #2: Don’t combine whole sentences with a comma. ✓ I can’t hear you. Can you please use the megaphone? ✗ I can’t hear you, can you please use the megaphone? The SAT loves to give you complex sentences to pick apart. A well-constructed sentence is made of one independent clause and one dependent clause. A run-on sentence is when there are too many independent clauses. There are four main ways to remedy a run-on. Transform one of the excess independent clauses into a dependent one. Split the two independent clauses into two separate sentences. Use a semicolon between the two independent clauses. Use a comma and then a conjunction to make a compound sentence. Although using a comma and “and” together to join sentences is correct, “and” alone doesn’t finish the job. Instead, it leaves you with the same problem that using a comma alone created: a run-on sentence. The same is true for “but,” “or,” and “so”—all of them need commas to combine sentences. ✓ I can’t hear you, so can you please use the megaphone? ✗ I can’t hear you and can you please use the megaphone? Of course, all of those words also have other jobs. “And,” “but,” and “or” can just combine lists of nouns, verbs, or adjectives, and then they don’t need commas. ✓ I bought glow-in-the-dark sunscreen and went to the beach last night. ✗ I bought glow-in-the-dark sunscreen and I went to the beach last night. Because there’s no “I” in the second half of that corrected sentence, the “and” is just combining “bought” and “went” into a short list, and that’s okay. Rule #4: When we have independent clauses (sentences that can stand on their own), and want to join them, we can use a comma and either a coordinating or a subordinating conjunction. Known as FANBOYS, these seven conjunctions will help you remember the coordinating conjunctions. It is important that you know the difference between these conjunctions and that you use the conjunctions appropriately. 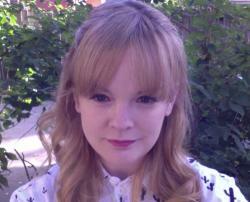 ✓ Kelly wanted to get straight A’s, so she studied every night and weekend. ✗ Kelly wanted to get straight A’s, and she studied every night and weekend. Kelly wants to achieve something, SO she does such-and-such. ✓ Kelly was able to score at the top of the class, and she was even considered for the position of valedictorian later on. ✗ She was able to score at the top of the class, but she was even considered for the position of valedictorian later on. “But” and “yet” are conjunctions that show contrast. “And” is a conjunction that shows that two independent clauses are related. In the examples directly above, we want a conjunction to connect, not to contrast, the idea that Kelly did two important things. Rule #5: Whether it is with nouns, adjectives, verbs, or adverbs you need to make sure the form is consistent. ✓ The girls at the sleepover said they wanted ice cream for dessert. ✗ The girls at the sleepover said she wanted ice cream for dessert. ✓ The dog is hyper, large, and smelly. ✗ The dog is hyper, large, and doesn’t smell good. I had less strength after running the marathon. I had fewer apples than I thought because my dad ate some. Rule #8: Misplaced modifiers don’t modify the correct part of the sentence. I play the flute is an independent clause that totally makes sense by itself. I play the flute, a woodwind instrument. A woodwind instrument, I play the flute. Don’t see what’s wrong with this arrangement? Well, the first example makes it pretty clear that I play a woodwind instrument. The second example, however, makes it seem like I am the flute. Having played composers such as Beethoven and Mozart at a very young age, Alicia Keys’ songs have many elements of classical music. Having played composers such as Beethoven and Mozart at a very young age, Alicia Keys has many elements of classical music in her songs. Misplaced modifiers on the SAT also come in other forms. In the following examples, figure out what is being modified and what should be modified. 1. Sonia was waiting for her book to come in the mail eagerly. 2. The boys and girls couldn’t wait action-packed for the new super hero movie. 1. “Eagerly” is modifying “book” in the original sentence. Instead, the sentence should be Sonia was eagerly waiting for the book to come. 2. “Action-packed” is modifying “wait” in the original sentence. Instead, the sentence should be The boys and girls couldn’t wait for the new, action-packed super hero movie. Rule #9: Dangling modifiers don’t actually modify anything in the sentence. Hence, it is “dangling,” or not attached to anything. Usually, the modified clause is in passive voice. ✓ Typing furiously, she finished her essay. ✗ Typing furiously, the essay was finished. The modifying phrase is not actually modifying a subject. How would you correct the sentence? Desperate, a call was made to the police. Rule #10: Squinting modifiers logically make sense as modifiers for two subjects in the same sentence. Therefore, it makes the sentence ambiguous in meaning. Squinting modifiers are the trickiest to identify because the sentence doesn’t have any obvious errors. Furthermore, squinting modifiers don’t come up as often on the SAT, probably because their ambiguity makes it hard to come up with one correct answer choice. Just in case, though, it’s still a good idea to know what squinting modifiers look like and the SAT grammar rules needed to correct them. ✓ Students who don’t practice often for the SAT score lower than they would like. ✗ Students who don’t practice for the SAT often score lower than they would like. Rule #11: When encountering a modifier problem, first identify the incorrectly-placed modifier. Sonia was waiting for her book to come in the mail eagerly. Rule #12: Change a modifier problem in one of two ways: figure out either where to place the modifier, or how to correct the subject. In the same example sentence above, figure out where to place the modifier “eagerly,” or how to correct the subject (if it should go before or after “waiting”). Scan for the answer choice that matches your prediction. Spanning six decades, a period that encompasses dozens of albums, Bob Dylan continues to be a relevant musician well into the 21st Century. A) Bob Dylan continues to be a relevant musician well into the 21st Century. B) a relevant musician well into the 21st Century, Bob Dylan continues to be. C) Bob Dylan has continued to have become a relevant musician well into the 21st Century. D) Bob Dylan’s career as a relevant musician continues well into the 21st Century. E) Bob Dylan has been continuing to be in the 21st Century a relevant musician. So what’s being modified here? The first phrases, “spanning six decades…” isn’t a sentence. We call it a dependent clause because it basically depends on a sentence (which is referred to as an independent clause – it can stand on its own). The independent clause begins with the subject ‘Bob Dylan.’ But does Bob Dylan describe what was “spanning six decades…”? No, it is Bob Dylan’s career that spanned six decades. Therefore, Bob Dylan is being incorrectly modified (sorry Bob – in this case, you are a misplaced modifier). Notice, that only answer choice begins with, “Bob Dylan’s career.” Just like that – without having to read through all the awkwardly worded answer choices (which can definitely give you test prep brain freeze) – we have the answer: D.
Rule #13: Determine if there are any words modifying a verb or adverb, and verify that they are also adverbs. An adverb is a word that modifies a verb or adjective. It usually answers any of the following questions: How much, how often, and where? Few people use adverbs properly in everyday speech. And when there is a disconnect between the way people speak and the proper way to speak, you can bet the College Board is waiting for a grammar question to snare you. To see how we can fail to spot the proper use of the adverb, consider the following examples. If you rely on your ear, you will probably think that both sentences are fine as is. The new PC was the most clever designed computer the market had seen in years. In the first case, the verb is “drive.” The word that modifies “drive” is “safe.” “Safe” is an adjective, and you cannot modify a verb with an adjective—you need an adverb. To make “safe” an adverb simply add -ly: Drive safely. For the second sentence, we need an adverb to describe how a computer is designed. “Clever” is an adjective. So by adding -ly, we now have an adverb: most cleverly designed computer. Rule #14: Make sure the times given in the sentence are consistent and logical. Any time you see a verb underlined, you should check that the tense given feels natural with the times that the rest of the sentence presents. Do you smell anything fishy in this SAT grammar example? Ernest Hemingway’s short stories, including the favorite “Indian Camp,” continue to be highly influential pieces of fiction despite the fact that they have been written over fifty years ago. If you do, then you might be onto something. It might be rotten. The time “over fifty years ago” sounds pretty strange when put next to “have been written.” You don’t need to know why; you just need to know it’s wrong. The good news is that for native English speakers, the different times that different tenses signify are already hard-wired into your thought patterns. All you have to do on the SAT is make sure the times given in the sentence are consistent and logical. Rule #15: If there’s a sequence of events, make sure their tenses put them in the right logical order. This one is about making sure words in the sentence all match up, by watching out for when events happened. In the past, or in the present? ✓ Having just been swimming, Maria smelled like chlorine. ✗ Having just been swimming, Maria had smelled like chlorine. Each English verb has a few basic forms. Kids who learn English in other countries can often rattle off lists like do/did/done and eat/ate/eaten faster than native speakers can. And there are some verbs, like swim, which even native speakers get a little confused about at times. Take a look and make sure you know these sets. There are countless others, most of which you wouldn’t think twice about. But some of them might have you making things up in conversation (e.g., “I would’ve swang if I’d known he was going to keep throwing strikes.”) that just don’t fit SAT grammar rules. Rule #16: Has/Have + Participle = describes an action/event that happened in the past and continues in the present. 1) Last night, I walked my dog. 2) I have walked Bucky every night for the last two years. In the first sentence, I am doing the action, “walk,” only once. This is the simple past. In the second sentence, I am describing something that has taken place on a number of occasions in the past and continues on till today (meaning tonight I will most likely walk Bucky). This is the present perfect. Once completely oblivious to climate change, the world had now began to look more seriously at pollution. The word “once” earlier in the sentence lets us know that something happened at one point in the past. “Once” also tells us that the second half of the sentence, after the comma, will contrast with the first part. We see that contrast in the word “now.” So, we need to choose the tense that best reflects the sequence of events in the sentence: the present perfect. Rule #17: Had + Participle = describes an action/event in the past that happened before another action in the past. Whenever you are dealing with two events in the past, one of which started or happened before the other, you must use the past perfect tense to describe the event that started first. Before I moved to California, I had walked Bucky in the mornings, not at nights. Rule #18: Whenever we use the past perfect, we must also have another verb in the sentence that is in the simple past. Choose the correct verb tense(s). 1. After she graduated/had graduated from high school, Jessica decided/had decided to backpack through Europe. 2. Though he studied/had studied the entire weekend, Bobby was only able to get a B- on his Calculus mid-term. We have the first event: Jessica graduating. This event must be in the past perfect tense: had graduated. The more recent event, her deciding to backpack, is in the simple past: decided. The first action is the studying, so we need had studied. The teacher demanded that the hyperactive be seated the entire class. He requested that she be present at the meeting. Were we space aliens, we could travel the cosmos. Were she responsible for the break-in, she would not have an airtight alibi. If I were president of the United States, I would make “taco Tuesdays” a national holiday. 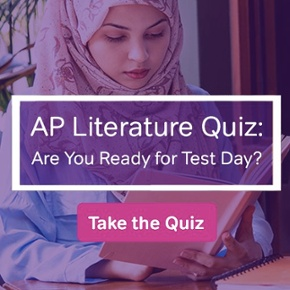 Notice how I didn’t mention the “interrogative mood.” That’s because nothing changes with the verb; therefore, there’s no easy way for the SAT to test that the interrogative mood is being used. In general, “mood” is so rare on the test that I think it showed up in one question of the four practice tests in the College Board book. So if you have to skip one section in your SAT grammar practice, this might be the one. Rule #21: The SAT likes to put extra information between the subject and verb. If you cross out everything between the subject and the verb, the correct choice will be much more obvious. Subject-verb agreement is a basic building block of English language sentence structure. Because it is so normal in your speech and writing patterns, your eyes can glide right past well-hidden subject-verb agreement errors. Be sure to watch for underlined verbs, and clauses set off by commas or dashes. ✓ The teachers, who loaded up their trays with pizza, cookies, and chocolate milk, stand at the back of the cafeteria. ✗ The teachers, who loaded up their trays with pizza, cookies, and chocolate milk, stands at the back of the cafeteria. When the SAT adds all that info, they will often make the word closest to the verb the opposite of the subject. If the subject is singular, the word in front of the verb might be plural, just to throw you off. Sneaky, eh? Rule #22: A pronoun refers to a noun in the sentence. Rule #23: A pronoun can either take the subjective or objective form depending on its role in the sentence. Mary lent her book to Tom. She told him to return it to her soon. For Mary, she is the subject pronoun and her is the object pronoun. Notice how in the second sentence, the recipient of the action is Mary, which means the pronoun must be in the object case. So we use her. The second sentence does not use he but rather him. If we are talking about the subject of the sentence and we are referring to Tom, then we want to use he. If Tom is the object of the sentence, then we want to substitute him. Rule #24: When you’re listing other people as well as yourself, I or me should come last. This is an SAT favorite. It’s shown up on a number of tests, and it’s a perfect trap for anybody who trusted their 8th grade English teacher just a little too much. There is, admittedly, plenty of truth in these SAT grammar rules: When you’re listing other people as well as yourself, I or me should come last. Think of it as being polite and holding the door for the other names. When the names are the subject, use I. ✓ My pinkie toe and I have been through some hard times. ✗ The world is against my pinkie toe and I. ✗ A polar bear ate my pinkie toe and I. ✓ My pinkie toe and I fought off a polar bear. ✗ My pinkie toe and me fought off a polar bear. If the names are not the subject—a notable example being after prepositions like against—then use me, the object form. ✓ The world is against my pinkie toe and me. ✓ A polar bear ate my pinkie toe and me. If these SAT grammar rules are a bit unclear, then take out the other player (e.g. “my pinkie toe”) and see how it sounds. Saying “A polar bear ate I” sounds good to approximately nobody, so don’t write it—even if there’s a pinkie toe that comes first. Also, you can roughly assume that I is more likely correct near the beginning of the sentence, while me is more common at the middle or end. Rule #25: Its = possessive. It’s = it is. A marathon is a challenging race. It’s a combination of endurance, grit, and focus. Rule #26: ‘s = singular possessive. s’ – plural possessive. On this subject, Ross always made me remember the distinction between “you’re” and “your” better than even my English-teacher mother could. The SAT reading section has become less difficult for most students, their obscure vocabulary replaced by lots of reading. The subject (SAT reading section) is singular. Finally, we want to show possessive, so we need its, not it’s. Rule #27: Know that diction questions will appear, and always be on guard if you can’t seem to find a mistake in the question. One of the least common—but no less diabolical—errors you can encounter is called the diction error. They pop up about once every other test, if that often. You may even be familiar with this error type—it’s the old switcheroo, where one word that sounds an awful lot like another word is incorrectly used in a sentence. The scientists, once they discovered that each had tackled a similar line of stem-cell research, realized that they would both benefit if they corroborated in their research. The word should be “collaborated,” and not “corroborated,” which means to confirm or give support to evidence. The first two years are the most formidable—it is during this time that many of our enduring personality traits form. The word should be “formative,” not “formidable,” which describes something that is so big or amazing that it commands respect (think of Lebron James’s skills on the basketball court). So what to do? Carefully, look to see if the correct word is being used. Below is a list of some of the most common diction errors. Rule #28: Note the word “than.” It almost always signals that we’re making a comparison, so you know to check for a problem there. After noticing the “than,” we should look for the adjective or verb that it’s being paired with, e.g. “enjoy more than” or “is easier than.” In the sentence below, our adjective is tougher. Oranges’ skins are tougher than lemons’. Rule #29: When making comparisons, find the nouns—where the problem might happen. Some of the most difficult SAT grammar questions deal with correct comparisons between nouns. There are two major reasons why they cause such a problem. The first is that we make these kinds of “mistakes” pretty often in conversation. To the untrained proofreader, they seem pretty natural. The second is that they can often be fixed with a possessive. If you want to compare the color of Sam’s and Brian’s tongues, then the sentence “Sam’s tongue is redder than Brian” is clearly weird, whereas “Sam’s tongue is redder than Brian‘s” would be just fine. That’s all well and good, but the SAT might not make it so easy for you. Instead, the two nouns may already be plural. ✗ Oranges’ skins are tougher than lemons. ✓ Oranges’ skins are tougher than lemons’. Rule #30: When it’s a preposition that’s underlined, it’s all about your ear. Ask yourself, “Does that sound right?” Of all our SAT grammar tips, this might be the only time that I say to go with your gut about an error. Most times, you should be trying to find why something is wrong as it’s written. The test-makers want to know if you can choose the right preposition to go with words which actually do carry the meaning they’re expected to. For instance, you might disagree with an idea, but you can’t object with it. Instead, you object to it. Both “disagree” and “object” mean exactly what we expect them to in those phrases. It’s only the preposition that’s weird. Rule #31: If you see an underlined preposition, find the words before and/or after that should get paired with it. Pretty often, you’ll find the verb or adjective that came before the preposition, like in the “disagree” vs. “object” example above, but sometimes it’s about the words after the preposition, instead. In the sentence “I’m on my classmate’s phone,” you’d note the word “phone,” and ask whether “on” and “phone” link well together, which they do. Similarly, an actor might appear in a movie, on TV, or at a restaurant. Whether it’s the word before or after the preposition, you have to find that related word. Then, it’s all about your ear. Without punctuation, written language would become much more difficult to understand. Those tiny marks between and sometimes inside of words give us cues for reading emphasis, breaks, tone, and more. Of all punctuation marks, commas may be the most versatile and the most commonly misused. There are so many ways to use commas that deciding whether to use one or not can be overwhelming. Follow the SAT grammar tips below to know whether to add a comma. Rule #32: Every comma should serve a purpose, so never place one without a reason. Rule #33: Commas may go between independent clauses, but only when paired with a coordinating conjunction (FANBOYS). The dog raced after the car, but he was left in the dust. Rule #34: Commas may go after dependent clauses, prepositional phrases, or other descriptive phrases at the beginning of sentences. On the other hand, the fortune teller had been correct. Rule #35: Commas may be surrounding non-essential phrases, such as appositives. Betsy, a lovely woman, offered to knit us socks. Rule #36: Commas may go between elements in a list. The child ate cotton candy, fried cookies, and ice cream at the fair. Rule #37: Commas may go between two adjectives that describe the same noun AND are interchangeable. My nephew made me a funny, cute card. Rule #38: Commas may separate transitional words/phrases from the rest of the sentence. Rule #39: Commas go before or after quotes. He asked, “Why?” “Because it just makes sense,” she replied. Rule #40: Commas are used when addressing a person by name. Peter, would you pass the pepper? Rule #41: If you see a comma or an “and” underlined in a writing multiple choice question (but not used together), ask yourself whether they can be replaced by a period. If they can, then there’s the problem. This comma-colon hybrid can be an excellent alternative to a period between independent clauses. Rule #42: A semicolon is meant to separate two clauses that, by themselves, could function as sentences. Rule #43: If two sentences are talking about the same topic, a semicolon placed between them may improve the flow of ideas from one to the other. Also, if you are writing a list and the items within the list include commas, separating the items with semicolons prevents confusion between all the commas. That supermarket is my favorite; it carries all my favorite foods for reasonable prices. On our trip, we visited Washington, D.C.; Chicago, Illinois; and New York, New York. Rule #44: Colons can also appear between independent clauses, but should really only be used when the second clause clarifies, or paraphrases the first. The platypus is a strange animal: it lays eggs and has a bill, but is still considered a mammal. The other way you can use a colon is after an independent clause that is followed by a list. We will need the following for our camping trip: a tent, sleeping bags, and hiking boots. Rule #45: Hyphens appear not just within sentences, but within words themselves. Adjectives can be formed of two or more words connected by hyphens, but these adjectives may only appear before the noun they describe. The hand-made necklace was made of local turquoise. Compound numbers written as words must also use hyphens. He has answered sixty-three math questions so far. Some of the most common places to see hyphens are after certain prefixes, between prefixes and proper nouns, after single-letter prefixes, and with the suffix -elect. The all-cotton T-shirt depicted the president-elect. Rule #46: Contractions use apostrophes to stand in for letters that have been removed. You shouldn’t poke the cat, so don’t do it. Apostrophes are also essential for indicating possession. Rule #47: If a noun is singular or is plural but doesn’t end with an ​s​, add ​‘s.​ If it is plural and ends with an ​s​,​ just add an apostrophe. Our architect used the PTA members’ ideas in the design for the children’s playground. Rule #48: Be careful! Several contractions are homophones for possessive pronouns, which do NOT use apostrophes. For example, ​it’s​ means ​it is​, while ​its​ is a possessive pronoun. Rule #49: Parentheses surround non-essential elements within sentences. Commas do the same, but parentheses are a bit more eye-catching, so they provide some extra emphasis for the phrases they surround. Remember that parentheses always come in pairs. The road trip (which was all my brother’s idea) was ruined when the car broke down. Rule #50: Like commas and parentheses, dashes set off non-essential elements in sentences. They can be used in pairs, to set off phrases in the middle of sentences, or alone, to set off phrases at the end of sentences. Dashes provide even more emphasis than parentheses, and they do a great job of catching readers’ eyes and drawing attention to certain parts of a sentence. My friends — Megan, John, and Ricky — offered to help me move. His face revealed a mix of emotions — confused, yet happy. Rule #51: Quotation marks always appear in pairs and closing quotation marks must be placed outside a sentence’s end-punctuation. As their name suggests, quotation marks surround direct quotes. They can be used around an entire sentence or within sentences. “Four score and seven years ago,” began Lincoln. I should be honest: upon walking into the exhibit I did not expect much. After all, how edifying can one Air Jordan sneaker encased in a wall possibly be? But the exhibit offers much more than an endless procession of athletic shoes; it provides context for the way the game has both been played and evolved. The very first shoe I saw, an original Chuck Taylor All Stars from 1927, hardly allayed my fears that the exhibit would underwhelm me. After all, the shoe, which is still produced today with very little variations in look and design, is so common that you don’t have to walk very far before you see a person sporting a pair. But when I read the placard beneath the shoe, I learned that a Chuck Taylor, a professional basketball player, had influenced both the design and feel of the shoe. He held basketball clinics throughout the country, in which he was able to test out new designs and modifications to the shoe that ultimately led to the sneaker I beheld; a piece of history, its rubber sole worn down over the decades. At the time, Wyoming was not a state, a condition that actually made it easier for the federal government to turn the land associated with Yellowstone into a national park. Nonetheless, had it not been for the efforts of Ferdinand V. Hayden, Yellowstone may not have become what we know today. Hayden was worried that Yellowstone could easily become like Niagara Falls, which was overridden with tourism, he felt that only the national government could help preserve the land so that it was consistent with his vision. Rule #52: Words in a sentence, or sentences in a paragraph, should all be alike in structure. Parallelism involves making sure words in a sentence, or sentences in a paragraph, are all alike in structure. You’ll see this most frequently with a list of verbs. As a result, teachers must now be proficient curators of digital information, gathering, catalog, and maintaining these collections. See how gathering and maintaining both end in -ing? You’ll need to update catalog to cataloguing to match the rest of the words in the list. Rule #53: Watch out for synonyms in the same sentence. Redundancy is simply repeating the same information over and over again, repeatedly, many times. (See what I did there?) In true SAT style, redundancies will sometimes be hidden in a sentence like, “Annually, my family goes to the beach every year.” We only need to include either annually or every year, since they mean the same thing. Free to users who enjoy their services, websites like Facebook and Google are especially valuable, because they offer free resources for event organization and scheduling. We can immediately eliminate options A and C, because the writer notes the “free resources” later in the sentence. That leaves us with option B, which is not redundant. Option B also makes sense because free services would be even more valuable to users when times are financially tough! Rule #54: Hard to understand = bad! If you think a sentence sounds academic (and therefore good) because it’s hard to follow, then think twice. Why is it tough? Is it because of the structure or the meaning? Unnecessarily complicated sentence structures are not a good thing. So make it clear. Every sentence in English includes a verb to describe an action. But there are basically two different kinds of verbs: connecting verbs and acting verbs. Connecting verbs don’t carry a whole lot of meaning. Instead, they just join the pieces of the sentence. “Be” is by far the most important connecting verb. There’s no action, really. It’s just a kind of glue. My hobby is collecting other people’s receipts. I have a stash of thousands of them under my bed. Not many people do as much digging through trash as I do. These kinds of verbs are important—we couldn’t form sentences without them—but they’re inherently weak. They’re just not very descriptive. If you use the action for the verb, you’ll usually have a stronger sentence. It’ll generally be more concise, too. Notice how each of the acting verbs below were already included in the first set of sentences, but in different forms. I collect other people’s receipts. I’ve stashed thousands of them under my bed. Not many people dig through trash as much as I do. Yes, you should write formally for your SAT essay. But you have to be natural. Students often go too far, and while trying to sound more academic, they throw in crazy constructions. And more often than not, those clunky sentences have a connecting verb in the middle and an action verb transformed into some other part of the sentence. Fix them by finding the action and making it the main verb. ✗ The theory has many people who disagree with it. ✓ Many people disagree with the theory. ✗ Students who do a lot of reading tend to have better writing. ✓ Students who read a lot tend to write better. ✗ The crime which he was found guilty of was shaving the school mascot’s costume. ✓ He was found guilty of having the school mascot’s costume. Notice in that last one that there’s still a passive structure—”was convicted of”—but that doesn’t mean it’s wrong. It’s more important that the action is the main verb. Rule #55: You don’t want to say anything in a casual, lax way—or too formally, either. The SAT wants to make sure you know when to use the appropriate level of voice. That is, you don’t want to say something in a casual, lax way when writing an essay, or, in this case, editing an essay that the SAT has provided. In the sentence pairs below, one maintains a consistent tone whereas the other lapses into casual speak. 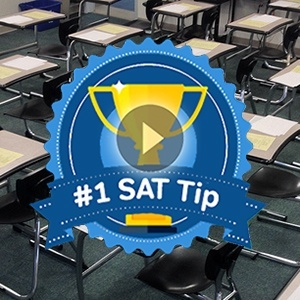 1a) The SAT places harsh demands on a student’s attention, forcing them to be focused for almost four hours straight. 1b) The SAT is really hard because you have to keep your mind on the task for four straight hours. 2a) Working in groups can lead to high employee productivity while making people feel good about working with others in the office. 2b) Working in groups can lead to high employee productivity while fostering good will between colleagues. Language can also be too stilted, or formal. The SAT—and any manual of style!—will tell you to avoid overly formal language. Can you spot the offender below? 3a) The SAT is highly onerous on minds exhibiting a propensity for divagation. 3b) Students who are serious about SAT prep are more likely to seek outside help, and are thus more likely to see a score improvement. If you are not quite sure what 3a) is saying, you are not alone. It uses over-inflated, pompous language. Remember, there is a major difference between choosing a particularly apt word and using words like “divagation” (don’t worry, that word will not be on the test!) for the sake of sounding more intelligent. The latter will confuse your reader, and ultimately turn them off from what you have to say. There is, of course, a dark side to video games. Like any activity that is based on a system of rewards, video games can cause people to overindulge and neglect other aspects of their lives, just to reach the next level in a game. B) is too casual. Both C) and D) are too formal and wordy. A) is consistent with the tone and level of formality found in the rest of the sentence. Whew! Great job, guys. Ready for some self-study (maybe on your bus ride)? Get the SAT Grammar Rules PDF so you can remember these 50+ SAT grammar rules on the go. Ready to test your SAT grammar chops with a quiz? Here it is! Unlike on test day, we’ve only underlined the word the question tests to make it easier for you to read on-screen. However, just like on test day, the instructions for these questions are as follows. “Each passage below is accompanied by a number of questions. For some questions, you will consider how the passage might be revised to improve the expression of ideas. For other questions, you will consider how the passage might be edited to correct errors in sentence structure, usage, or punctuation. A passage or a question may be accompanied by one or more graphics (such as a table or graph) that you will consider as you make revising and editing decisions. 1. My grandmother wasn’t a rich woman, but somehow my sisters and me always viewed a visit to her house; as though it were a visit to a fairy-tale castle. In retrospect, I think this probably had to do with the sheer amount of mysterious objects she’d accumulated. When she made cookies for us, they weren’t served on a plain white plate, like at home, they were served in a series of cookie jars with figures of ballerinas, tiny dogs, or even quotes painted at the bottom. Her “grown-up” book collection wasn’t comprised of just the dry, academic tomes my parents had around the house, but instead were made up of books from the seventeenth, eighteenth, nineteenth centuries, inherited from invisible generations, vividly illustrated and turning to dust. Other trinkets around the house attested to the unknowability of the past, from the watercolor portraits fading in the sunlight to the tiny dish that showed our long-distant ancestors engaged in that medical “cure,” blood-letting. Even Granny’s dog fascinated us: unlike Maggie, our placid and patient mutt, her purebred cocker spaniel Bairn watched us adroitly, with thinly disguised disdain that quickly produced a low growl if we got too close. 2. My grandmother wasn’t a rich woman, but somehow my sisters and me always viewed a visit to her house; as though it were a visit to a fairy-tale castle. In retrospect, I think this probably had to do with the sheer amount of mysterious objects she’d accumulated. When she made cookies for us, they weren’t served on a plain white plate, like at home, they were served in a series of cookie jars with figures of ballerinas, tiny dogs, or even quotes painted at the bottom. Her “grown-up” book collection wasn’t comprised of just the dry, academic tomes my parents had around the house, but instead were made up of books from the seventeenth, eighteenth, nineteenth centuries, inherited from invisible generations, vividly illustrated and turning to dust. Other trinkets around the house attested to the unknowability of the past, from the watercolor portraits fading in the sunlight to the tiny dish that showed our long-distant ancestors engaged in that medical “cure,” blood-letting. Even Granny’s dog fascinated us: unlike Maggie, our placid and patient mutt, her purebred cocker spaniel Bairn watched us adroitly, with thinly disguised disdain that quickly produced a low growl if we got too close. 3. My grandmother wasn’t a rich woman, but somehow my sisters and me always viewed a visit to her house; as though it were a visit to a fairy-tale castle. In retrospect, I think this probably had to do with the sheer amount of mysterious objects she’d accumulated. When she made cookies for us, they weren’t served on a plain white plate, like at home, they were served in a series of cookie jars with figures of ballerinas, tiny dogs, or even quotes painted at the bottom. Her “grown-up” book collection wasn’t comprised of just the dry, academic tomes my parents had around the house, but instead were made up of books from the seventeenth, eighteenth, nineteenth centuries, inherited from invisible generations, vividly illustrated and turning to dust. Other trinkets around the house attested to the unknowability of the past, from the watercolor portraits fading in the sunlight to the tiny dish that showed our long-distant ancestors engaged in that medical “cure,” blood-letting. Even Granny’s dog fascinated us: unlike Maggie, our placid and patient mutt, her purebred cocker spaniel Bairn watched us adroitly, with thinly disguised disdain that quickly produced a low growl if we got too close. 4. My grandmother wasn’t a rich woman, but somehow my sisters and me always viewed a visit to her house; as though it were a visit to a fairy-tale castle. In retrospect, I think this probably had to do with the sheer amount of mysterious objects she’d accumulated. When she made cookies for us, they weren’t served on a plain white plate, like at home, they were served in a series of cookie jars with figures of ballerinas, tiny dogs, or even quotes painted at the bottom. Her “grown-up” book collection wasn’t comprised of just the dry, academic tomes my parents had around the house, but instead were made up of books from the seventeenth, eighteenth, nineteenth centuries, inherited from invisible generations, vividly illustrated and turning to dust. Other trinkets around the house attested to the unknowability of the past, from the watercolor portraits fading in the sunlight to the tiny dish that showed our long-distant ancestors engaged in that medical “cure,” blood-letting. Even Granny’s dog fascinated us: unlike Maggie, our placid and patient mutt, her purebred cocker spaniel Bairn watched us adroitly, with thinly disguised disdain that quickly produced a low growl if we got too close. 5. My grandmother wasn’t a rich woman, but somehow my sisters and me always viewed a visit to her house; as though it were a visit to a fairy-tale castle. In retrospect, I think this probably had to do with the sheer amount of mysterious objects she’d accumulated. When she made cookies for us, they weren’t served on a plain white plate, like at home, they were served in a series of cookie jars with figures of ballerinas, tiny dogs, or even quotes painted at the bottom. Her “grown-up” book collection wasn’t comprised of just the dry, academic tomes my parents had around the house, but instead were made up of books from the seventeenth, eighteenth, nineteenth centuries, inherited from invisible generations, vividly illustrated and turning to dust. Other trinkets around the house attested to the unknowability of the past, from the watercolor portraits fading in the sunlight to the tiny dish that showed our long-distant ancestors engaged in that medical “cure,” blood-letting. Even Granny’s dog fascinated us: unlike Maggie, our placid and patient mutt, her purebred cocker spaniel Bairn watched us adroitly, with thinly disguised disdain that quickly produced a low growl if we got too close. 6. My grandmother wasn’t a rich woman, but somehow my sisters and me always viewed a visit to her house; as though it were a visit to a fairy-tale castle. In retrospect, I think this probably had to do with the sheer amount of mysterious objects she’d accumulated. When she made cookies for us, they weren’t served on a plain white plate, like at home, they were served in a series of cookie jars with figures of ballerinas, tiny dogs, or even quotes painted at the bottom. Her “grown-up” book collection wasn’t comprised of just the dry, academic tomes my parents had around the house, but instead were made up of books from the seventeenth, eighteenth, nineteenth centuries, inherited from invisible generations, vividly illustrated and turning to dust. Other trinkets around the house attested to the unknowability of the past, from the watercolor portraits fading in the sunlight to the tiny dish that showed our long-distant ancestors engaged in that medical “cure,” blood-letting. Even Granny’s dog fascinated us: unlike Maggie, our placid and patient mutt, her purebred cocker spaniel Bairn watched us adroitly, with thinly disguised disdain that quickly produced a low growl if we got too close. 7. My grandmother wasn’t a rich woman, but somehow my sisters and me always viewed a visit to her house; as though it were a visit to a fairy-tale castle. In retrospect, I think this probably had to do with the sheer amount of mysterious objects she’d accumulated. When she made cookies for us, they weren’t served on a plain white plate, like at home, they were served in a series of cookie jars with figures of ballerinas, tiny dogs, or even quotes painted at the bottom. Her “grown-up” book collection wasn’t comprised of just the dry, academic tomes my parents had around the house, but instead were made up of books from the seventeenth, eighteenth, nineteenth centuries, inherited from invisible generations, vividly illustrated and turning to dust. Other trinkets around the house attested to the unknowability of the past, from the watercolor portraits fading in the sunlight to the tiny dish that showed our long-distant ancestors engaged in that medical “cure,” blood-letting. Even Granny’s dog fascinated us: unlike Maggie, our placid and patient mutt, her purebred cocker spaniel Bairn watched us adroitly, with thinly disguised disdain that quickly produced a low growl if we got too close. 8. My grandmother wasn’t a rich woman, but somehow my sisters and me always viewed a visit to her house; as though it were a visit to a fairy-tale castle. In retrospect, I think this probably had to do with the sheer amount of mysterious objects she’d accumulated. When she made cookies for us, they weren’t served on a plain white plate, like at home, they were served in a series of cookie jars with figures of ballerinas, tiny dogs, or even quotes painted at the bottom. Her “grown-up” book collection wasn’t comprised of just the dry, academic tomes my parents had around the house, but instead were made up of books from the seventeenth, eighteenth, nineteenth centuries, inherited from invisible generations, vividly illustrated and turning to dust. Other trinkets around the house attested to the unknowability of the past, from the watercolor portraits fading in the sunlight to the tiny dish that showed our long-distant ancestors engaged in that medical “cure,” blood-letting. Even Granny’s dog fascinated us: unlike Maggie, our placid and patient mutt, her purebred cocker spaniel Bairn watched us adroitly, with thinly disguised disdain that quickly produced a low growl if we got too close. 9. My grandmother wasn’t a rich woman, but somehow my sisters and me always viewed a visit to her house; as though it were a visit to a fairy-tale castle. In retrospect, I think this probably had to do with the sheer amount of mysterious objects she’d accumulated. When she made cookies for us, they weren’t served on a plain white plate, like at home, they were served in a series of cookie jars with figures of ballerinas, tiny dogs, or even quotes painted at the bottom. Her “grown-up” book collection wasn’t comprised of just the dry, academic tomes my parents had around the house, but instead were made up of books from the seventeenth, eighteenth, nineteenth centuries, inherited from invisible generations, vividly illustrated and turning to dust. Other trinkets around the house attested to the unknowability of the past, from the watercolor portraits fading in the sunlight to the tiny dish that showed our long-distant ancestors engaged in that medical “cure,” blood-letting. Even Granny’s dog fascinated us: unlike Maggie, our placid and patient mutt, her purebred cocker spaniel Bairn watched us adroitly, with thinly disguised disdain that quickly produced a low growl if we got too close. 10. My grandmother wasn’t a rich woman, but somehow my sisters and me always viewed a visit to her house; as though it were a visit to a fairy-tale castle. In retrospect, I think this probably had to do with the sheer amount of mysterious objects she’d accumulated. When she made cookies for us, they weren’t served on a plain white plate, like at home, they were served in a series of cookie jars with figures of ballerinas, tiny dogs, or even quotes painted at the bottom. Her “grown-up” book collection wasn’t comprised of just the dry, academic tomes my parents had around the house, but instead were made up of books from the seventeenth, eighteenth, nineteenth centuries, inherited from invisible generations, vividly illustrated and turning to dust. Other trinkets around the house attested to the unknowability of the past, from the watercolor portraits fading in the sunlight to the tiny dish that showed our long-distant ancestors engaged in that medical “cure,” blood-letting. Even Granny’s dog fascinated us: unlike Maggie, our placid and patient mutt, her purebred cocker spaniel Bairn watched us adroitly, with thinly disguised disdain that quickly produced a low growl if we got too close. If you’ve read this all in one go, your eyes are probably crossed by now. Don’t worry! That’s why we made the SAT Grammar Rules PDF (it’s a lot shorter!). Read through it, quiz yourself, come back and brush up on areas where you might be rusty. 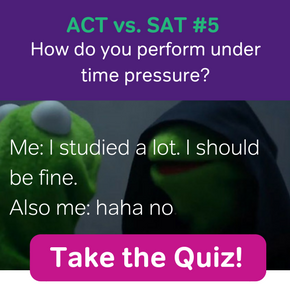 In the meantime, don’t forget to prepare for the SAT Writing test format as well as its content, and keep quizzing yourself (here and elsewhere) until you’re happy with your progress. How Hard is SAT Writing?